Prong set diamonds 1.00 ct total weight with a classic look and the halo design. Can use your center diamond as a remount. 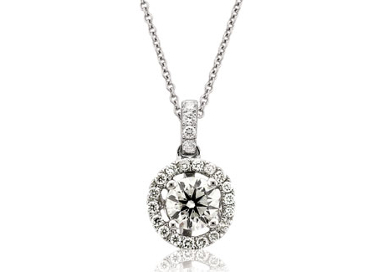 Have questions about this necklace or want to see it in our store?